Backpacking is a single trip which is formed by combining camping and hiking. You can spend for a single night or you can spend for weeks in the woods. You are required to bring the equipment and supplies that are essential to sleep and eat comfortably. If your backpacking trip includes one night’s stay then it can be called as camping trip. Backpacking need not to be a long trip, but it can. Most of the campers will backpack for several weeks or even for months by comprising considerable foodstuff. 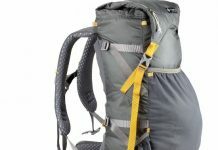 It is better to pack all of your equipment into a backpack so that you can take long hikes in the woods and you need not to have to worry on getting back to the camping spot. You should bring enough food, plenty of water, shelter and means. Take a backpack along with you for your backpacking trip. The backpack must include an area for you to fold up your sleeping bag or tent. Backpacking trips are simpler than normal camps. When you plan for a backpacking camp, you will find areas for sleeping and building for a campfire. Some areas have bulletin boards with a map or signs to warn others or inform others about certain things. You don’t find any established camps in remote areas, so campers must choose appropriate camping sites themselves. You will find the best backpacking places in Europe. Some lodges in Europe will provide free lodging to backpackers. You can find many places to get shelter on certain national parks and Appalachian Trail. Most of the people like backpacking because you are able to escape from natural surroundings and find yourselves. You can travel into deep, remote places and you will observe many things that most of the people don’t even recognize they exist. Backpacking trip gives you a chance to enjoy by looking at nature and from that you can learn a lot. The trip gives you lots of time to feel and it is a major challenge also. Backpacking trip also have some disadvantages. A backpacker should carry a heavy burden in order to make the trip successful. You need to carry the weight of the pack, gear, supplies and some other things. This forces a hiker to slow his/her pace. The burden can be disturbance from the experience and most of the people will start to complain. Also, you need to spend many hours breaking the camp and after that packing up. Many hours in a day can be wasted for just setting up the camp and destroying it.